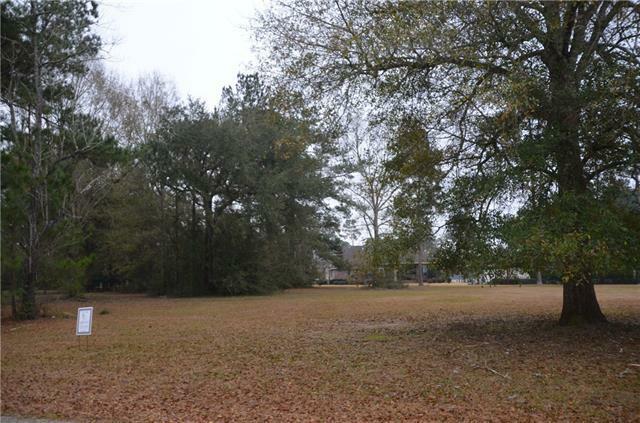 This lot is located in an established neighborhood appr. 136 X164 X183 X 200. Gated community 100 ft. plus above sea level with 3500 acres of Lakes and Nature trails. Award winning golf course, 4 tennis courts, fitness center, Community pool, fishing, community garden and much more. It's not just a community it's a way of life. Listing provided courtesy of Kathy K Prokasy of Money Hill Real Estate, Llc. © 2019 Gulf South Real Estate Information Network. All rights reserved. IDX information is provided exclusively for consumers' personal, non-commercial use and may not be used for any purpose other than to identify prospective properties consumers may be interested in purchasing. Information is deemed reliable but is not guaranteed accurate by the MLS or Watermark Realty LLC. Data last updated: 2019-04-23T23:34:15.943.